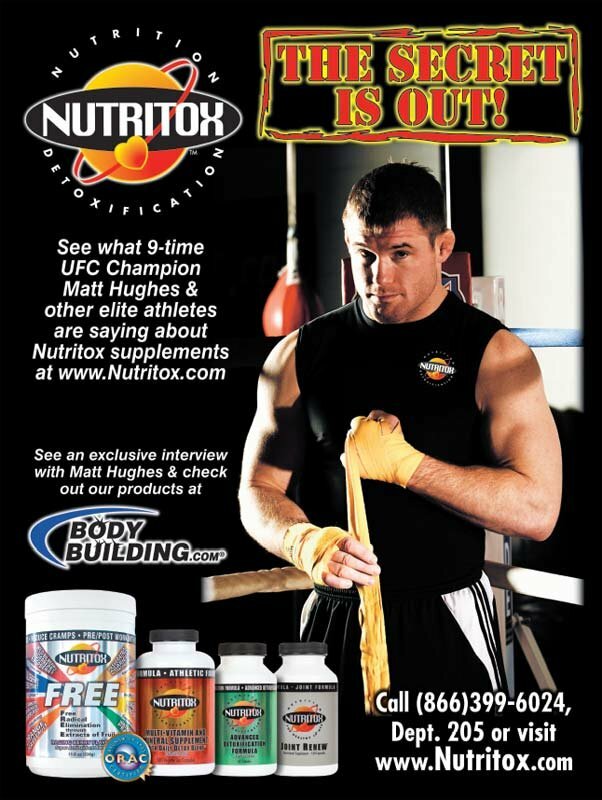 An Interview With 9-Time UFC Champ Matt Hughes! 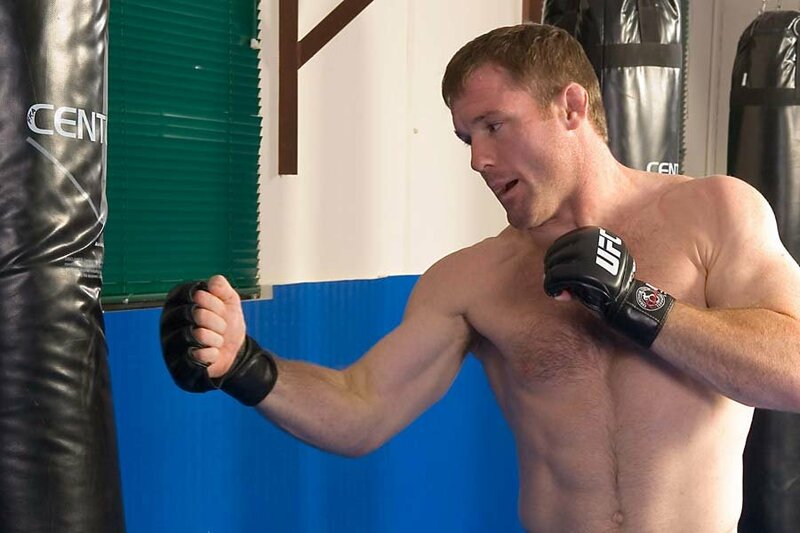 I recently had the pleasure of interviewing 9-time UFC Champ Matt Hughes. 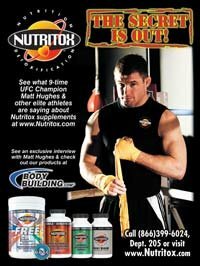 Join me as Matt talks about past fights, training, nutrition, off-season and more right here. Check it out! Update: Matt Hughes loses via an armbar in round 2. [ Q ] Matt, you are a 9-time UFC champ. Most people will never even make it to the UFC, let alone have that belt put around their waist! Out of all the title fights, is there one you remember most fondly or that just stands out and why? The rematch with Carlos Newton in London. It was the most meaningful because everyone thought it was a fluke that I beat him the first time. The way that fight ended hopefully made people realize it was not a fluke. [ Q ] You will be trying to regain the welterweight belt at UFC 79 against Matt Serra. Much has been made of the bitterness between you and Serra on TUF 6. Is there really that much dislike between you two, or is it more so just two highly competitive people butting heads? Matt Serra has dropped out of UFC 79 due to injury, and now Hughes will be fighting St. Pierre in a hugely anticipated rematch. For me it is about the competition and I think for Matt Serra he doesn't like me and so for him it may be more about dislike. Serra is not someone I would hang out with, but I do not hold any animosity toward him. [ Q ] Serra's strong point is his jiu-jitsu, so how surprised were you when he was able to knock out George St. Pierre to win the title? I was surprised and considered it a fluke to be honest. 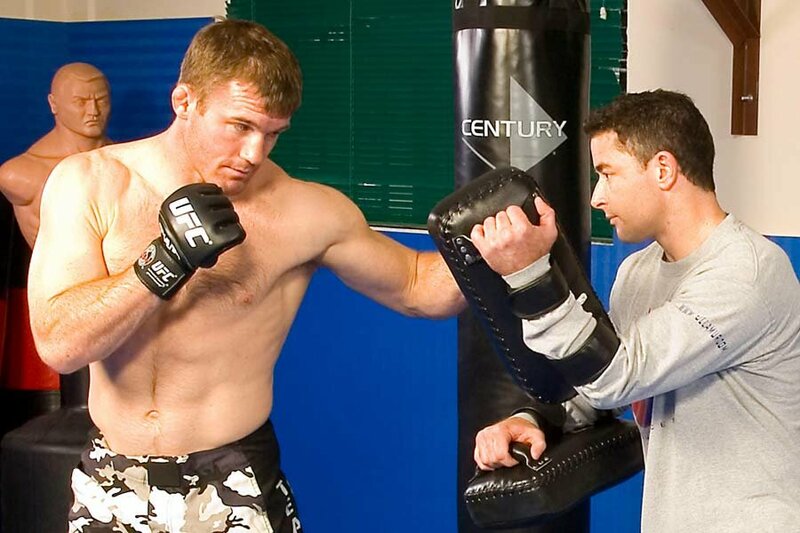 Matt Hughes Is The Best 170-pound Fighter. Look at Matt Hughes' career. He is obviously the best fighter hands down in the UFC. With little training Matt Hughes beat Dave Menne in only his third fight back in 1998 and Menne had way more training and experience than Hughes. Then hughes beats Akihiro Gono early in his career! And Gono is a pride fighter. - DaHooligan. [ Q ] Do you believe that it had more to do with GSP's state of mind at the time (I've heard many experts say he was not mentally ready for the fight) or do you think it was just another case of "anyone can get caught at any given time"? [ Q ] Your strong point is wrestling but you also have good submission skills (18 submissions in your career). I assume you will be comfortable to take this fight to the ground even with Serra's jiu-jitsu being so strong? Do you feel your wrestling background gives you an advantage when it comes to putting yourself in proper position to pull off more submissions? [ Q ] Can you give us some insight into your training? Particularly your weight training and cardio regimen but also your MMA training. Do you do any strength training/powerlifting or is your training purely sports specific? Additionally, does the way you train with weights change when preparing for a fight compared to when you are not preparing for a fight? but the lifts I do; in what I will call the maintenance phase (general conditioning), I will start doing circuits once the "real" training phases come. phase) where I do not do much of anything except work on the farm as exercise. The Closer To The Fight The More Specific My Training Becomes. [ Q ] What is your nutritional plan like? products throughout the year) and that is the basis of my nutritional plan. [ Q ] When you are preparing for a show I assume that you will be dropping weight. How does your nutritional strategy change from the offseason when you aren't preparing for a show? [ Q ] You see so many guys who have to drop 20 pounds in 3 days or stop drinking water for 2 days in a row to make weight for a fight and during the fight you see them completely gas. How do you maintain your strength and energy while simultaneously dropping weight for a fight? I have always believed the strength I get throughout the year being bigger than the weight I fight at; is more than the loss I have the last few days during weight loss. I have some good coaching around me that specialize in proper weight loss and I have done it for so many years it seems as if my mind and body are "used" to it and know how to handle it. [ Q ] How much weight do you typically drop for a fight and how long do you take to drop it? 15 pounds over 5 days. [ Q ] Do you use any supplements? If yes, which do you use and why? [ Q ] What do you feel your strongest attribute is (can be mental or physical attribute)? is my strongest trait and then I would say my physical strength would be number two on the list of strengths. Mental Toughness Is My Strongest Trait. [ Q ] Out of all the people you've fought ... who hits the hardest? Ohh, I do not know. I know a couple of BJ's punches seem to be pretty hard. [ Q ] After Blake Bowman's in the first round Mac Danzig went after him pretty hard even though Blake was his own team and Blake talked about how he looked up to Mac. How hard is it as a coach to get these guys to buy into a "team" concept when, in the end, only one of them takes home the contract and they are all competing against each other for it? Is there any strategy you use to try to get them into the 'team' mentality? In the beginning it is one team against another and so we have a long enough time to instill a team mentality. I had a good coaching staff and that helped in the team building aspect. Teams are made of humans and humans make mistakes everyday so it is an issue: the longer the show goes in some respects (especially when you have competitive people on a team). An old saying, "It is only a small crack but cracks make caves collapse." Is appropriate. When you see something happening you have to discuss it and that is why you saw me calling for a meeting as soon as it came to my attention. [ Q ] Are you building a new gym? If so, how is the progress on that is going?
) and should be open by the start of the new year.